The Glamour Spring Beauty Edit is here! 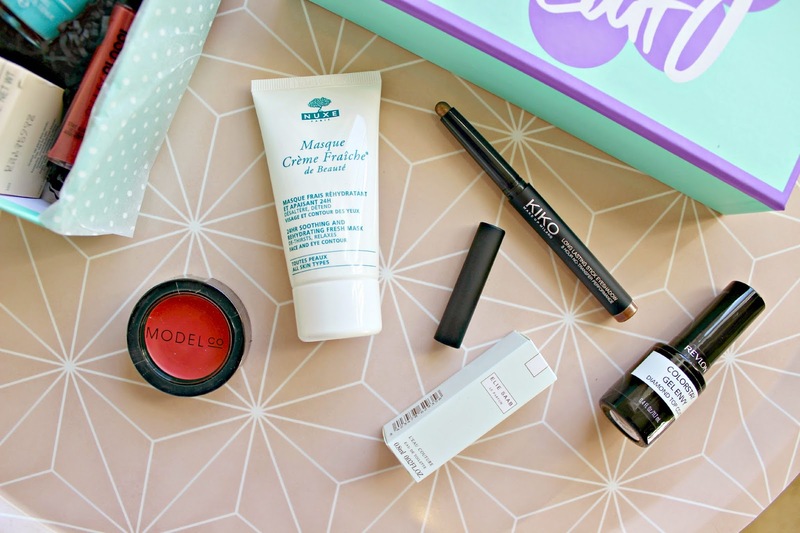 Few beauty boxes are as highly coveted as the Glamour Beauty Edits by Latest in Beauty, so I was super excited to receive their Spring Edit in the post last week. Even the box itself is lust worthy, with it’s teal and lavender shading it will make the perfect trinket storage box! But it’s what’s inside that’s even more exciting, here is what you can expect! As spring is usually the time for a makeup claret, the Glamour Spring Beauty box contains a mixture of essential products (chuck out your year old clear nail polishes!) and multi tasking products to give yourself a beauty overhaul. Although I’ve not tried everything yet, I’m pretty sure I already know what my favourites are! Firstly, the Moroccanoil Intense Hydrating Mask – a good sized tube which is perfect for travelling, this argan oil based product brings dried out locks back to their former shiny, silky glory. I’ve already tried this mask and where as my ends were previously dry and split, they’re now feeling much more manageable and my hair looks healthier after just one application. On my Sunday evening pamper session, I used the Nuxe Créme Fraiche de Beauté mask after using a charcoal mask to quench my skin. It has a lovely buttery texture and smells lovely; I think I applied a little too much as usually my skin just absorbs masks like this, but I had to tissue the excess of this one off. Afterwards my skin felt gorgeously nourished, and I awoke on Monday morning looking and feeling like I’d had 100 hours sleep! I also put the Revlon Colourstay Gel Envy Nail Enamel and Diamond Top Coat to the test. Applying my colour, then the top coat on Sunday afternoon, 4 showers later and a week (almost) of tapping away on my keyboard, my nails are still chip free. Result! I’d wanted to try a Kiko Long Lasting Stick Eyeshadow for ages so was so pleased to see a full size version in my Glamour Spring Beauty Edit box. The stick applicator makes application really easy, I smothered it over my lids before using my Real Techniques Bold Metal Blending brush to smooth it out. The colour was far more long lasting than any of my powder shadows, although it did crease a little; but nothing major! I’m yet to try the other products in the box yet, but inside you’ll also find a ModelCo Crème-Rouge Cheek & Lips – a multi tasking product which can be used to add a pop of colour to cheeks, or a peachy tint to lips. There’s a full size Beauty UK High Brow All in One Brow Definition kit in their too, which contains three different powder shades, an eyebrow wax to set and shape, as well a mini applicator brush and tweezers. Literally everything you need for brow grooming, there’s no excuse for less than perfect brows!! I’m also looking forward to trying the Rimmel Oh My Gloss! Lipgloss; another full size product, the lippy promises to be non stick (the holy grail when it comes to lip glosses!) so I’ll let you know how I get on with it, and if these bold claims are too good to be true or not! Finally there’s a little vial of the new Elie Saab L’Eau Couture perfume; a pretty scent for spring with refreshing notes of orange blossom, green almond and my favourite; bergamot. The Glamour Spring Edit Beauty Box is just £16.99 but the contents are worth almost £100 – it’s sure to sell out so order yours quick! 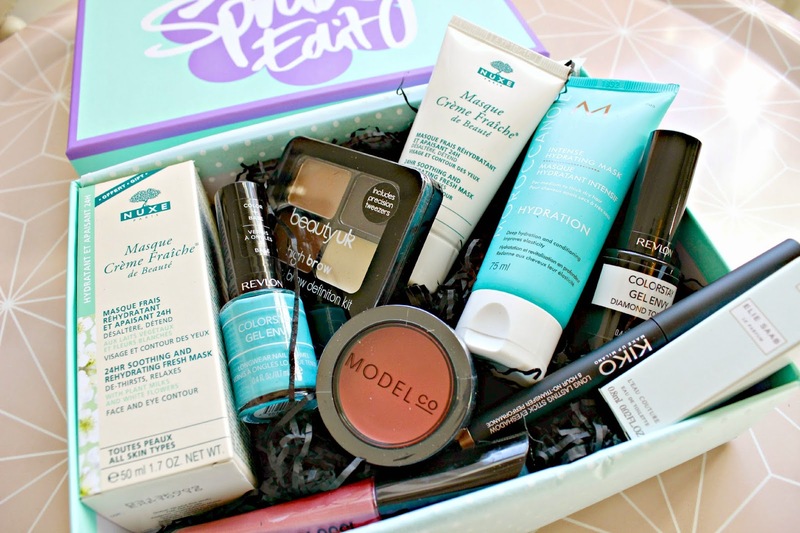 Have you tried any of the Glamour Beauty Boxes?